Fatter. Funnier. And with bigger pics. A new chunky edition: the same historical splattering of laughter, blood and gore. Think you know your horrible history? 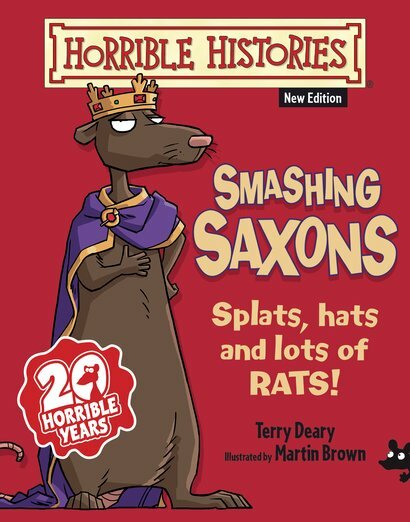 Not until you’ve met the smashing Saxons. This brutish lot liked nothing better than a bloody battle (usually against the naughty Normans). They thought wearing pigs on their heads was lucky. Weird or what? Plus: they gave cow pats as Christmas presents. We dare you to try that on your mum.